Kerry Walsh has joined Trinity Event Management as head of events. Walsh has more than 20 years of experience, including at the Institute of Practitioners in Advertising, the Institute of Credit Management, and within her own consultancy. Earlier this year, Walsh worked with Trinity to develop standard operating procedures for its event management division, before taking up the post as head of events at the Lincolnshire agency. Trinity managing director Jacqui Kavanagh said: "The expansion of our event management department further strengthens our ability to meet the needs of our clients. 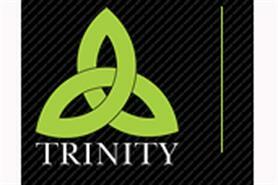 Kerry’s comprehensive understanding of event management from a client’s point of view will greatly benefit Trinity Event Management’s core offering, our sales network, and our clients." Walsh added: "Our clientele expects only the best, and I will strive to continue to provide the highest level of service for our events worldwide." Stephen Usher joined the agency last year, as managing director of the event management division.